Our intention through creating trainings and council opportunities in person and on this web site is to have more and more people know the gift of listening, learning , working, thinking and living as a circle . We are not missionaries but rather carriers of a way of council. 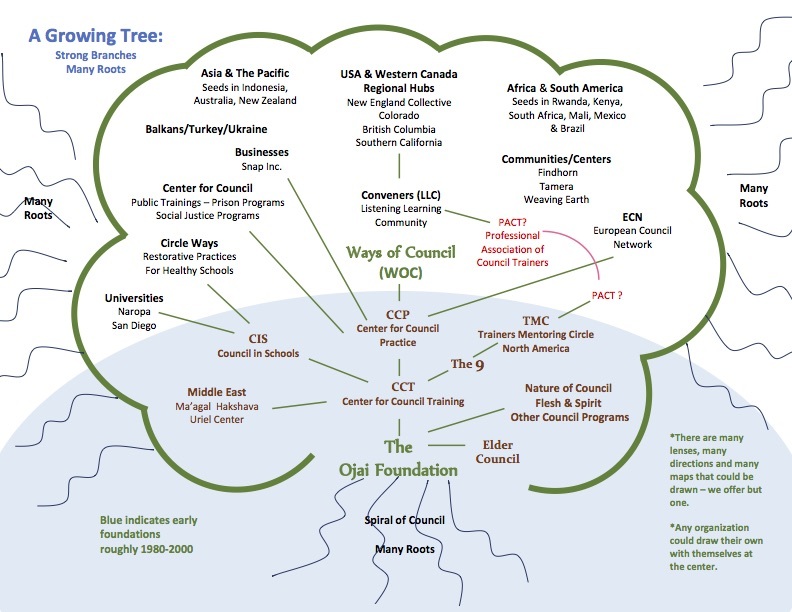 The purpose of this web site, as have been the centers and networks of council over many years now, is to serve the growing international community of individuals, groups, communities and organizations who are drawn to circle communication processes, particularly the form known as “council” that has been practiced at The Ojai Foundation and its sister communities for the past forty years. 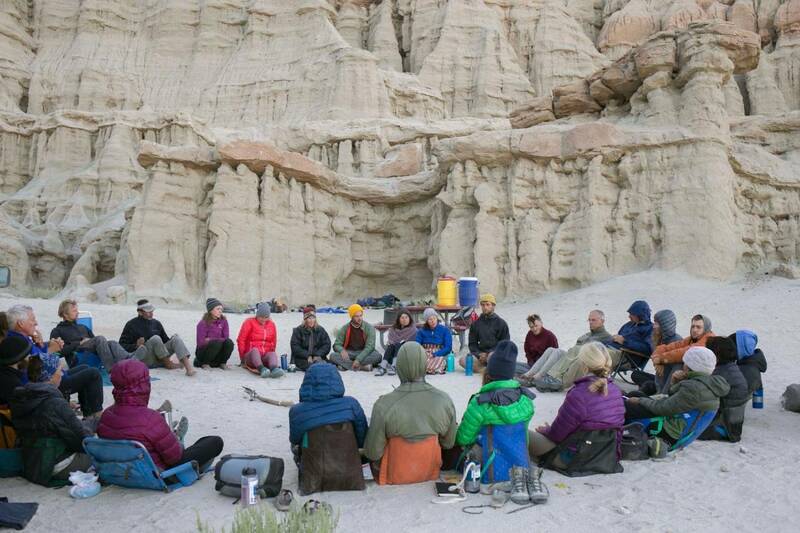 As well, we want to acknowledge some of the other well-springs of circle practice of which we are aware—Peer Spirit and Ho’oponopono, for example—and be open to the gifts of many. As the global community of council practitioners grows, an internationally based web site can become a place for practitioners to share experiences, information and wisdom about circle practices. 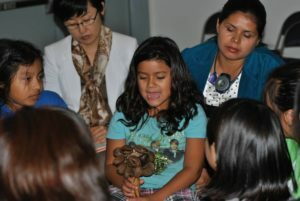 Our intention is to be respectful of and honor traditional and emerging practices, and, perhaps most important, stimulate circle awareness and practices world-wide. The result is this site we have called Ways of Council. In exploring this site may you feel a part of the emerging larger circle and be inspired to add your voice. Ways of Council is a site in progress, growing and deepening as circle practices evolve in the global community. We welcome your stories, experiences and suggestions.